A precise quality product is what RM is all about. 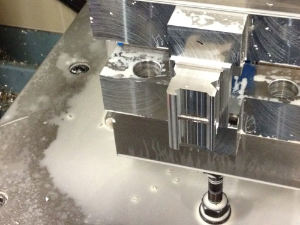 From design, to the CNC machine, to testing the product, to when it's in your hands is what RM is all about. ReinerMount is a mounting system to enable the end user to mount any accessory to a picatinny rail, weaver mount or any accessory wanting a quick release mounting system that is very durable, quick in removing and remounting and retains zero or point of impact. The ReinerMount is not “one side” specific. If you prefer to have the knobs on a specific side simply rotate the ReinerMount. All of our mounts will fit MIL spec rails. All ReinerMounts are precision machined on CNC machines from aircraft grade aluminum, and hard anodized in a matte black non-reflective finish. The unique patent-pending RM Knob System is a locking knob never before seen in the marketplace. The RM Knob provides the user with the assurance the mount is securely attached to the picatinny rail and prevents the ReinerMount from damaging the picatinny rail.